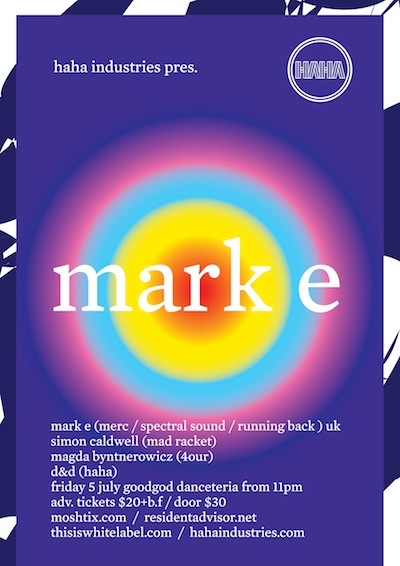 Mark E is quintessential House – unswerving, mechanistic, perfectly simple. The Birmingham-based DJ/producer has had a steady ascension to reaching the status as one of the genre’s most natural talents. A stellar remix for Matthew Dear’s ‘Little People (Black City)’ introduced him to the Ghostly/Spectral fold, who are now releasing his first album, Stone Breaker.